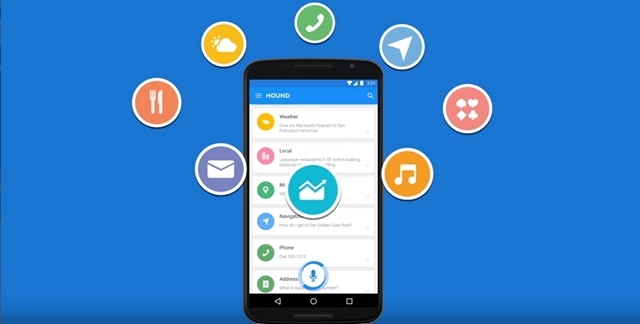 Soundhound launches Hound, who is a personal assistant, which with a proprietary speech recognition to better understand what you are saying. You may know the SoundHound, which is a major player among the services to listen to music and recognize what you hear. Now the company will be an equally behind the player in the market for personal assistants with a voice Assistant for Android and iOS who understand you even better than its competitors. In the current personal assistants like Siri, among other things, Google Now and you must often make your Cortana commands easily understood with special formulations. The trend makes Hound up with, who understands what you’re saying that if you talk to any other person. For the app Hound, this means that you can speak long and complex things, which require sophisticated algorithms to decode what is actually meant. For example, if you ask Google Now, Siri or Cortana for restaurants that do not are Chinese, view only Chinese restaurants. However, just understand that you Hound will see all other than Chinese restaurants. You can also provide multiple criteria at once, such as this: “Find a hotel room for me, which costs more than $ 300, but less than $ 400, has WiFi, air conditioning, which collect me from the airport, and show me not rooms that do not have air conditioning”, and in seconds you’ll get accurate and useful results. In addition to the more technical commands, you can also perform all the usual ones, as you can expect from a personal assistant. It could be the weather, a phone call, a text message or navigating to a place. It’s all presented in an easily manageable app in the same way, as you know it from other assistants with a big search button to activate voice recognition. You must, however, do without a voice to tell your results back. Hound only focuses on understanding and dealing with your commands better than current solutions. On iOS nor do you get the same deep integration with Siri, where you hold down the Home button to activate the function. You will need to have the app open. The app is already ready for Android and come later for iOS, but since it is still a beta, you will need to get your hands on an invitation to use the Hound. Such a you get hold of on the official website, where you can ask for one that fits to your operating system. In your mail Inbox will later show a code which you must enter in the app – and then you’re up and running. See below for a demonstration of what the new Hound-app can find you.